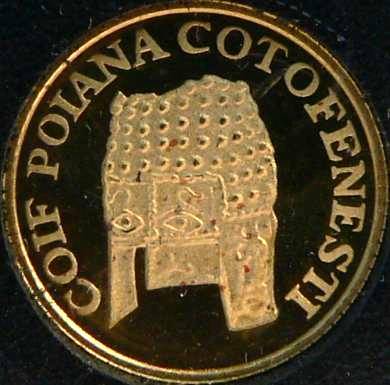 The coin pictures the massive Dacian helmet (25.5 centimeters in height, 19 in diameter, 779 grams) found in 1928 at Poiana-Coţofeneşti (county of Prahova) and belongs to a larger series of coins dedicated to the history of gold in Romania. 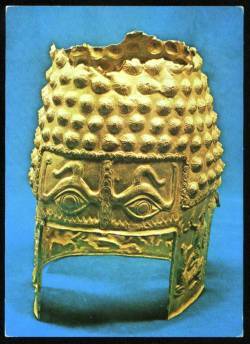 The palm leaves and the lotus buds represent a decorative motif on a ceremonial vessel founded in a tumular Thracian tomb at Agighiol (village in the commune Valea Nucarilor, Tulcea county). The pamphlet accompanying the tiny coin of 1999 announces a maximum mintage of 25,000 pieces, without declaring how many exactly were to be struck in 1999 though. However, in 2002 a supplementary mintage of 3,000 pieces were struck bearing the new year of issue. This is not quite fair in numismatic terms, as long as no one can precisely tell how much is the coin going to be worth (information existed on a former site of the National Mint, today missing from the new one). 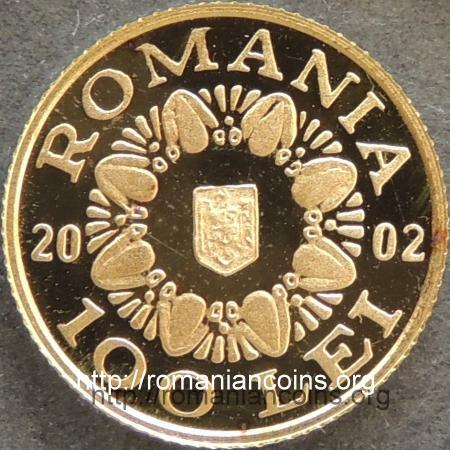 The 2002 coins are not separately mentioned in the price lists of BNR (National Bank of Romania). 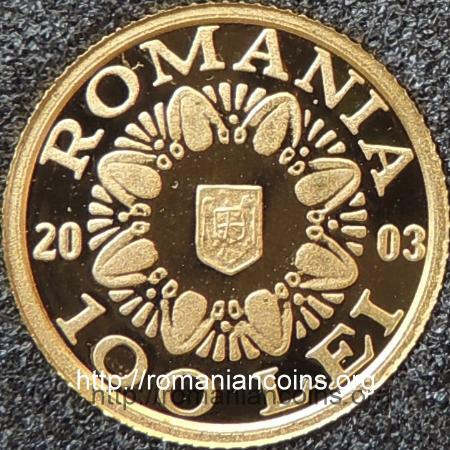 Coins bearing year 2003 also exist, but no official information is available about them until now (in 2012). According to our analysis of the 100 lei coins from 1999, 2002 and 2003 offered for sale on E-bay, the vast majority of the items were marketed by sellers from Germany. A proportion of the pieces come with warranty certificates devoid of security features, issued by MDM. All hints led to the conclusion that these three pieces were marketed abroad by MDM Münzhandelsgesellschaft mbH & Co. KG Deutsche Münze from Braunschweig, Germany. 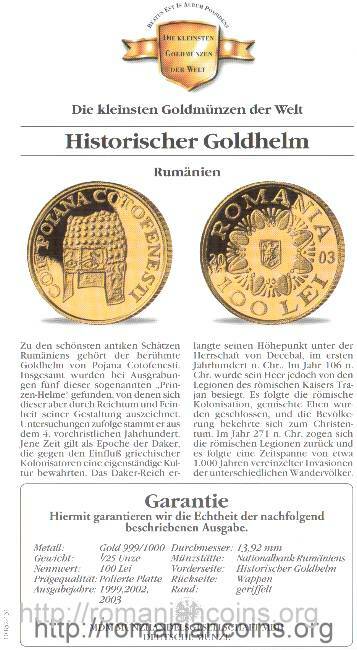 The coins belong to a large series named "Die kleinsten Goldmünzen der Welt" - "The Smallest Gold Coins of the World". MDM sells small gold coins from various countries within this series even today (2012). 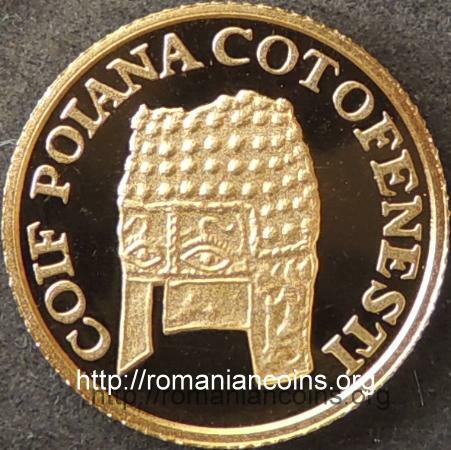 In conformity with the German certificate, all pieces were issued by the National Bank of Romania. It is quite certain that the pieces could be ordered by mail, through the German magazine Deutschen Münzen Magazin (nowadays this magazine is appended with postcards for ordering various numismatic pieces from MDM), or maybe through MDM-Journal magazine. 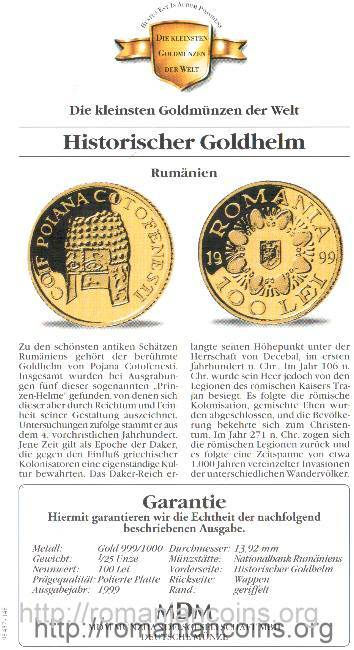 Apparently the coins marked with striking years 1999, 2002 and 2003, marketed in Germany, are authentic, being struck at the National Mint of Romania with permission of the National Bank of Romania, subsequently to a contract with company MDM, only that details of these issues and the contract were never disclosed to the public by NBR. 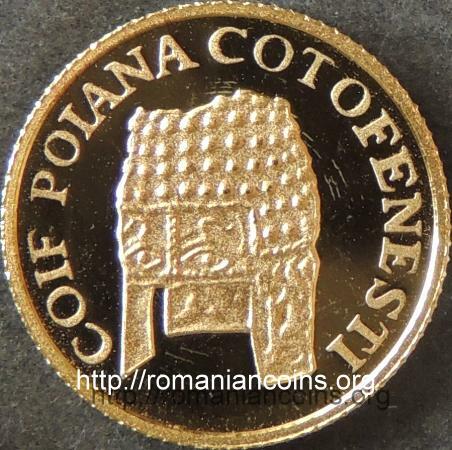 Looking good and being representative, we used this coin as the very background of our site (the one of 1999). 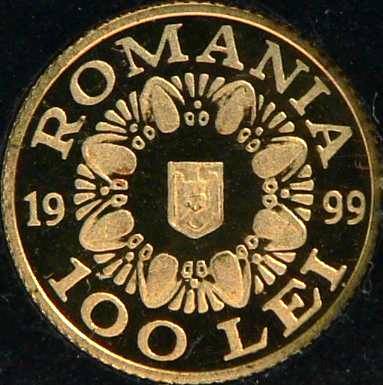 Sold for 675.000 lei (about 25 US$ in 1999). 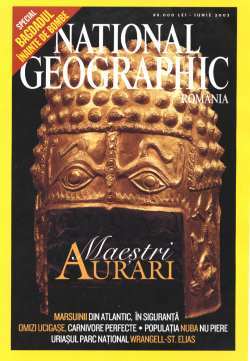 In July 2004 BNR sold the Coţofeneşti Helmet at an equivalent of 50 US$.